BitConnect, which has been accused of being a Ponzi scheme, has shut down its exchange and its lending service. If you haven’t heard of BitConnect, you might consider yourself lucky. The reason they gave for shutting down the majority of their services? Bad press, cease and desist letters, and a DDoS attack. Maybe, what was BitConnect is a better question. BitConnect was, by its own definition, a self-regulated financial system. It was an open source cryptocurrency platform, but it had an odd twist. The first warning sign might have been the clunky language on the BitConnect site. If they were truly a real financial system that they expected people to pour money into, they could have at least paid a writer or editor to make sure everything on the site was perfect grammatically. BitConnect also would have shied away from terms like “stable income,” and “financial freedom.” They would also have not said that they alone would determine the value of the coin based on supply and demand and instead opened it up to outside trading and exchanges. A Ponzi scheme is when a person or group basically pay out original investors, including themselves, with the money of new investors instead of actually doing business or making investments to create profit. It sustains itself on a constant influx of new investors so that the money can continue to flow to longer term investors. They can be spotted easily by their claims of huge returns and vague terminology. Things like “stable income,” and “financial freedom,” are good indicators. BitConnect was accused of being a Ponzi scheme because of the large gains they were purportedly offering for long term loans of capital, upwards of 40% monthly. Another indicator was the multi-level referral program, much like a pyramid scheme. On January 16th, BitConnect announced that they were closing the doors on the exchange and lending portions of their platform while continuing operations on the wallet, news and education. In the release, they stated that all loans would be closed. Any BitConnect that were out for loan would be transferred back to wallets at a price of $363.62 per coin However, that day, it closed at a price of just $19.28 effectively making them all near worthless. That was down from a high of $331.06 the same day, a 94% drop in value. At time of writing the coin is sitting at $21.36. Part of the reason they closed was due to receiving cease and desist from the Texas and North Carolina Securities departments. These, they claim, became a “hindrance” to continued operations. Two official cease and desist are more than a hindrance, it’s rather a preponderance of evidence that something is fishy. Another reason they put for is a DDoS, distributed denial of service, attack against the platform. They say that this happened several times and that there was evidence they would continue. DDoS attacks aim at disrupting normal operations and services for online platforms by flooding them with requests for information from a wide range of computers. BitConnect claims it made the system unstable and created panic in the community. Seems like there was more than enough reason for that panic. The final, and weakest, claim they made is about bad press which they say made community members uneasy and undermined confidence in the BitConnect platform. From the outside looking in, one wonders how and why there might have been confidence in it in the first place. 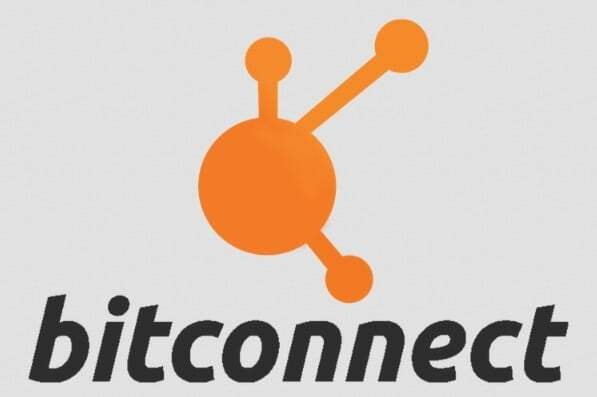 Even though BitConnect has stated that funds were returned to wallets, many have been unable to reclaim those funds. The problem is that all loans on the site were done with BitConnect. So users were depositing BitCoins into their wallet, converting it to BitConnect and then loaning those out. Many users now have piles of BitConnect that are worth a tenth of what they bought them at, or less. Plus, they have no one to sell those coins to as it now seems that the cryptocurrency will never recover and that it was probably a scam all along. So while they are depositing one BitConnect per $363.62, one could really only sell them for around $20 each, or hold on to them. Amazingly, in the same release, they talk about a BitConnect X ICO which is still functional and for which they are building an exchange. They say that they will list BitConnect there. However, who would invest more into an anonymous group that has already been sent cease and desist from State governments? Also, on the BitConnect website, their price and calculator still has it sitting at $217.90, tenfold above CoinMarketCap.com. For all intents and purposes this looks like the original creators are exiting, and taking a lot of investor money with them.